Aging is a natural part of life, but it doesn’t mean you have to sacrifice your health as you get older. As your body ages, it’s important to pay attention to your health—including your oral health. Good oral health habits when you are young can translate to better oral health and a more beautiful smile when you are older. Many of the same principles apply for seniors in terms of dental health, including regular brushing with a fluoride toothpaste and daily flossing. 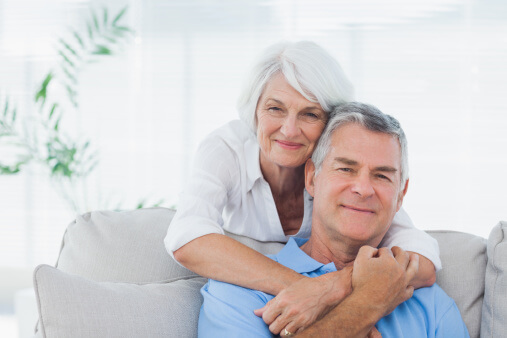 Read on to learn more about how to maintain a beautiful smile at any age. Tooth sensitivity can often increase as you age, which in turn can lead to problems enjoying your favorite foods and beverages. 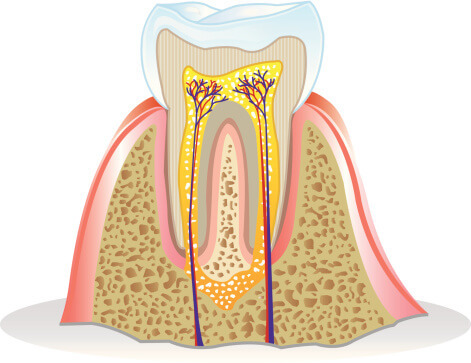 Gum recession can happens over time, which exposes the sensitive roots of the teeth. Ask your dentist for a recommendation for a toothpaste that’s designed specifically for sensitive teeth to see if this helps. If the toothpaste doesn’t give you much relief, it’s possible that your sensitivity is due to a more serious dental issue such as a cavity or a cracked tooth. If you have dry mouth, it can be uncomfortable as well as cause problems such as bad breath and even tooth damage. Dry mouth can be caused by certain medications or medical issues, and is more common with age. Your dentist can advise you on ways you can restore the moisture in your mouth, and even give you medications to help remedy the issue. The battle against gum disease is a lifelong one, and certainly does not stop as you get older. Gum disease can be caused by a poor diet, bad oral hygiene, smoking, stress, and has even been linked to other diseases such as diabetes and heart disease. In its earliest stages, gum disease is reversible so practice good at-home care and visit your dentist regularly to keep gum disease at bay. The dental office of John R. Carson, DDS offers comprehensive dental care for adults of all ages. Contact our Tucson office at (520) 514-7203 to schedule your appointment. Be sure to let your dentist know if you have special questions or concerns about taking care of your teeth as you age. Have you ever looked in the mirror and wished that your smile was whiter and brighter? Teeth can become discolored over time for a variety of reasons, including genetics, diet, and lifestyle choices such as smoking. If you want your smile to be whiter, ask your dentist about whether there is a teeth whitening treatment that’s right for you. With so many options available over-the-counter as well as at your dentist’s office, it’s a good idea to get professional advice on what will be most effective. Keep reading for a look at different tooth whitening treatment options. If you have been down the oral care aisle at your local pharmacy lately, chances are you noticed how many products there are that claim to give you a brighter, whiter smile. Before you become too enamored with the promises of any one tooth whitening product, talk to your dentist to find out if they might be effective for you. If you want to try tooth whitening at home, your dentist may be able to provide you with tray-based bleaching systems that contain stronger, more effective ingredients than what you can buy at the store. Some teeth whitening products can cause your teeth to become sensitive, so you may want to buy toothpaste specifically designed for sensitive teeth to help prevent this discomfort. 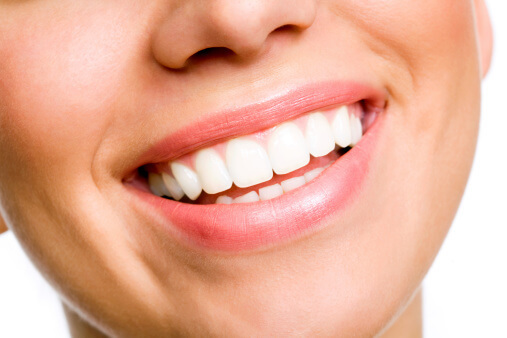 Some stains on your teeth may not respond to over-the-counter whitening systems. You may also be looking for a level of whitening that these products can’t provide, in which case you should speak with your dentist about your other options. In-office whitening typically will get your teeth whiter in a shorter amount of time over the course of a few treatments. Your dentist will be able to guide you towards which whitening treatment is right for you. When you’re ready to have the white smile you’ve always wanted, call the dental office of John R. Carson, DDS at (520) 514-7203. Our team of Tucson dental professionals will take great care of your teeth and gums. We offer restorative as well as cosmetic dentistry procedures to improve your smile. Diabetes and periodontal disease are closely related. Diabetics are more susceptible to infections, which means they have a much higher risk for developing periodontal disease and other oral health issues. If diabetic develop periodontal disease, it can becomes much harder for them to control their blood sugar levels. If you do have diabetes, it is very important to brush and floss your teeth to decrease your risk for gum disease. You should also schedule regular appointments with your dentist to make sure your teeth and gums are healthy. Dr. John R. Carson is here to help you avoid periodontal disease so you can maintain your oral and overall health. As one of Tucson’s top dentists, Dr. Carson works hard to give all of his patients the care they need to target their oral health issues. For more information on our services or to schedule your next dental appointment, visit us online or call (520) 514-7203. As the female body starts to go through puberty, it produces more estrogen and progesterone. These hormones send more blood to the gums, which could increase the risk for plaque and bacteria to build up and cause oral health problems like gingiviits and periodontal disease. Young girls should brush and floss their teeth every day, visit the dentists regularly, and eat a healthy diet to reduce the risk for these issues. In order to prepare to give life to another person, a woman’s body goes through some significant hormonal changes during pregnancy. The female body produces more progesterone, which increases the risk for gum disease. Pregnant women have an increased risk of developing gingivitis or periodontal disease throughout every trimester. You should pay special attention to your oral health during pregnancy to avoid these issues. 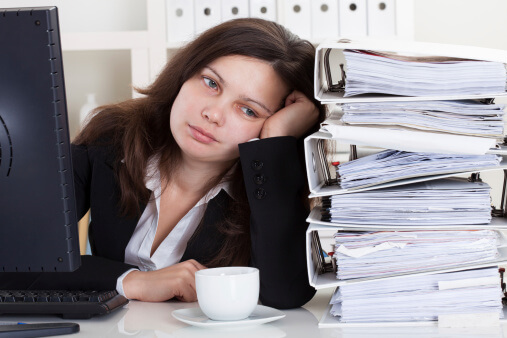 Another major hormonal milestone for women occurs during menopause. When women deal with menopause, they might experience more sensitivity in their teeth and gums. They might also have less saliva flow, which increases the risk for cavities and periodontal disease. Women going through menopause also lose estrogen, which could decrease the strength of the bone in the jaw and might lead to tooth loss. Work closely with your dentist during menopause to avoid major problems. Dr. John R. Carson is here to help you maintain healthy teeth and gums throughout every stage of your life. Whether your hormones are affecting your oral health or you just want to get a general cleaning, our team is here to help you keep your teeth and gums in the best condition. To learn more about our services or to schedule your next appointment, visit us online or call (520) 514-7203. A lot of people believe that root canal therapy is incredibly painful. Most patients who get the procedure find it very comfortable, in fact, no more uncomfortable than getting a filling for a cavity. When an infection or decay reaches the pulp of the tooth, it causes a lot of pain. During the root canal procedure, the dentist makes a small hole in the tooth and removes this damaged pulp. This gets rid of the pain and prevents the infection from spreading any farther. Some people believe if infection has reached the pulp, they should have the tooth removed. A dentist performs a root canal to avoid extracting the tooth, however. Oral health professionals always do whatever they can to save the natural tooth. When you lose one or more of your natural teeth, it can lead to other oral health issues that affect your entire mouth. Your dentist will always prefer to do a root canal over a tooth extraction. A dentist who practiced in the 1920’s claimed that root canals caused illnesses in other parts of the body and people still believe this myth. There is no scientific proof that root canals lead to other illnesses, however. If you visit a reputable dentist, the root canal procedure is completely safe and effective. Dr. John Carson offers general, preventative, and cosmetic dentistry services to help all of his patients get the care you need. Whether you have tooth pain or want to get a whiter smile, our team is here for you. To learn more, visit us online or call (520) 514-7203.